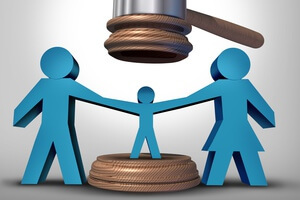 Child custody and guardianship are legal terms describing the legal relationship between a parent and his or her child, such as the right of the parent to make decisions for the child, and the parent’s duty to care for the child. Child custody issues typically arise in proceedings involving divorce (dissolution of marriage), annulment, or other legal proceedings where children may be involved. In most jurisdictions the issue of which parent the child will reside with is determined in accordance with the best interests of the child. While many parents cooperate when it comes to sharing their children and resort to mediation to settle a dispute, not all do. For those that engage in litigation, there seem to be few boundries that are “off limits” in court. For this reason those who engage in such difficult custody battles need to carefully chose an attorney with experience in child custody litigation.